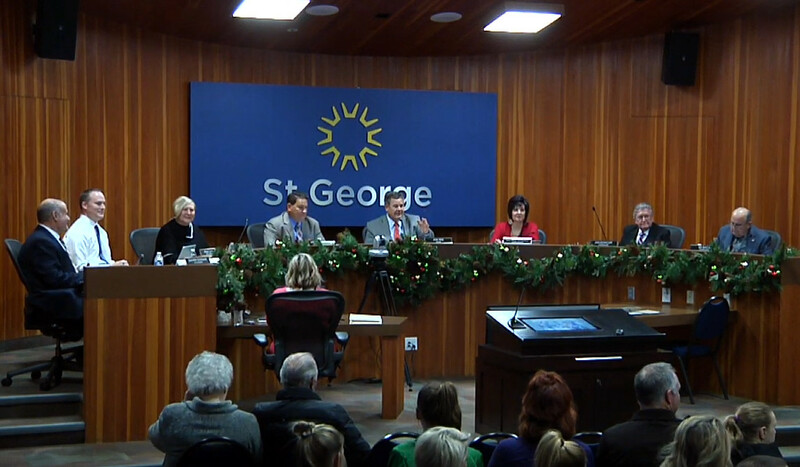 ST. GEORGE — Members of the St. George City Council voted Thursday to raise their pay for the first time in over two decades. During the council’s regularly scheduled meeting, all five council members voted in favor of amending a city ordinance to increase their annual pay by about 66 percent, from $12,000 to $20,000. The ordinance also includes a $20,000 pay bump for the mayor, from $30,000 to $50,000 annually. 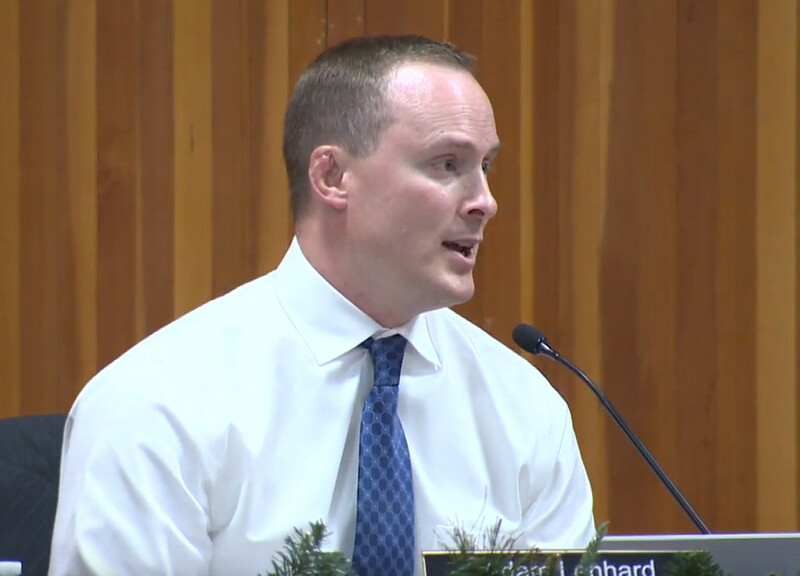 “Elected office, of course, is voluntary – nobody forces you to run – but as with other cities and towns, we do provide compensation to the mayor and the City Council in recognition of the costs that you incur in the office, both in terms of money and time,” City Manager Adam Lenhard said. The last pay increase voted into law was in 1996 when the city had a population of 44,000, nearly half the size of its current population. Lenhard worked with city staff to determine a compensation level appropriate for 2018, examining the pay schedule of elected officials in comparable cities throughout the state. Ultimately, Lenhard said, they settled on a pay rate that “accurately reflects” the amount of time city officials put into the job. Baked into the amended compensation ordinance are several new provisions, including a clause allowing elected officials’ salaries to increase based on cost-of-living adjustments in the same way the pay rate of city employees is adjusted. These adjustments will be made annually when the city’s budget is drafted, St. George City Attorney Shawn Guzman said. The amended ordinance also allows elected officials to participate in the same benefits plan as full-time city employees and allows access to other employee benefits, such as wellness programs. The ordinance also states that they may be compensated for personal vehicle use and the use of electronic devices for city-related business. Mayor Jon Pike and Councilman Ed Baca emphasized that their pay increases were only considered after the city made “significant” adjustments to the pay structure of city employees, increasing salaries and improving benefit offerings. City officials say they implemented the changes for the benefit of future mayors and council members, not just themselves. Before the council’s unanimous vote to approve the measure, Pike opened the proposal for a public hearing, but no one in the audience at the meeting gave comment. Good! Looks like a pay raise was needed. Of course! Especially knowing everyone else in town got 5%. Joke. SG News, you make the headline seem so shocking, but after 20 years I’m sure a raise was needed. Now..the other side of the coin – you say these are part-time positions for a minimum of $20,000? Must be nice. My spouse works 48 hrs per week, with no benefits and makes about $16,000. That’s roughly 20% of his previous salary from another state (and they gave him benefits). Salaries here are a joke – even if you have a good education and an exemplary employment record. Lucky we have another source of income, or we’d be on foodstamps, too. I don’t know how the extra-large families around here manage to keep a roof over their heads. It’s no wonder that such a large percentage of Dixie State students leave the area once they’ve graduated. Sounds like your husband needs a new job, that’s not even minimum wage! Even McDonald’s pays more than that starting out. It’s straight commission – no salary, no benefits. Some weeks are good some are awful. At times he makes a buck an hour, other times (on rare occasion) it’s 33 bucks an hour. Just depends on how the jobs come along. He likes the job, they like him, so he will continue. Sadly, some of his counterparts struggle since they have no other source of income or benefits. Alright Mayor Pike, next time we meet in front of the Jazz Garden I expect you to pay for my entrance ticket. LOL. Actually seems raise is appropriate in my opinion. Sounds like the raise was overdue, even though the percentage was high. I’m glad they took care of City employees first. They really could avoid this happening if they implemented a 2% raise every year instead of waiting until they need to raise the salary a substantial amount like this. I don’t have a problem with the raise……. How about a 80% pay increase if city leadership will slow growth instead of increase it. tax increase to improve the quality and safety of living here, instead of this constant development BS. Does this include ‘benefits’ from the developers and those awarded large contracts? Just wondering. How about we raise teachers salaries!! Considering Washington County is the LOWEST paid district in the state!! Many teachers who live in our county work in Mesquite because the pay here is so pitiful! and probably only fixable with organized labor movements, yes the union word. Sure wished I could have “voted” (?) to raised my salary. Where is our pay raise? Can we pass a city ordinance to take care of the awful wages employers pay out in St George? 66% huh…on top of the “Payola” kickbacks that are all getting from developers?……. POS….you get what you vote for folks, and most of the time the public meetings to watch over this crap are near empty….enjoy your future Tax increases!